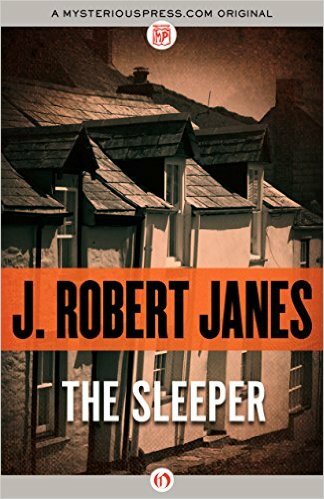 “The Sleeper” eBook was published in 2015 (December) and was written by J. Robert Janes (http://www.jrobertjanes.com). Mr. Janes has published seven novels. I was offered a copy of the novel for review by the publisher. I would categorize this novel as ‘R’ as there are instances of Violence, Mature Language and Mature Situations. This Mystery Thriller novel is set in England in the period just before World War II begins. There are several characters in this novel, but the primary are David Ashby and Hilary Bowker-Brown. Abby is a veteran of World War I and now teaches at a boys boarding school. He has a failed marriage to Christina von Hoffman, the daughter of a Nazi general. Christina had prevented Ashby from seeing their young daughter, Karen, who was being taught the Nazi ways by her grandfather Hoffman. Ashby makes a daring trip to Germany and kidnaps his daughter, bringing her back to England. Knowing that his estranged wife as well as Nazis agents will be searching for Karen, he hides her with friends in a small village along the Cornwall coast. Bowker-Brown has bought property along the Cornwall coast which includes an old tin mine. She is trying to write a novel set in a mining area. She is fluent in German and French, so in an effort to make his daughter fit better into England, Ashby engages Bowker-Brown to teach Karen English. The Germans, driven not only by the Hoffman’s but by Nazi pride, are committed to finding Karen and returning her to Germany. German intelligence, including a here to fore unknown ‘Sleeper’ agent are put on Karen’s trail. A young woman who Ashby has been involved with is kidnaped, tortured and brutally murdered – Is it German agents or someone else? British MI5 and MI6 are both aware of what is going on and want Karen as bait to trap German agents. But they are competing with one another rather than cooperating. Christina is willing to do anything to get her daughter back. Many different characters come into play as the story unfolds. This is a story with a few twists and turns. A combination of mystery and spy thriller. I did enjoy the 8+ hours I spent with the book, but it felt very muddled. The beginning, in particular, seemed very slow and confusing. I almost called a Rule of 50 on this book, but I am glad that I stayed with it. The book was a little confusing at times as points of view changed in the middle of a paragraph and it was not always clear from whose perspective the story was being told. That said, I give this novel a 3.9 (rounded up to a 4) out of 5. A demo as well as a tutorial videos are available. I found that I could open an image (File ==> Open) and then draw onto that image. I can see that this will come in handy when taking screen shots and then highlighting something in the image. 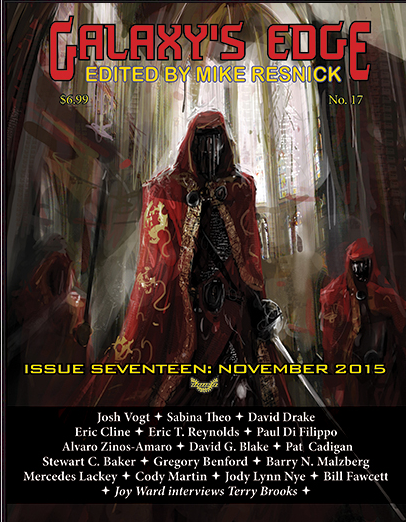 The Galaxy’s Edge is a bi-monthly magazine with a collection of short Science Fiction stories edited by Mike Resnick. This is not a new publication (the November 2015 issues is #17), so it may not be news to you of it’s existence. The magazine is available by subscription in a paper version ($6.64 per single issue, or $37.74 per year), or as a Kindle edition from Amazon. All issues are also available for free if read through your browser. If you enjoy Science Fiction Short Stores, then this is a good way to supplement your reading. It is also a good way to “test out” different authors by reading their short stories. 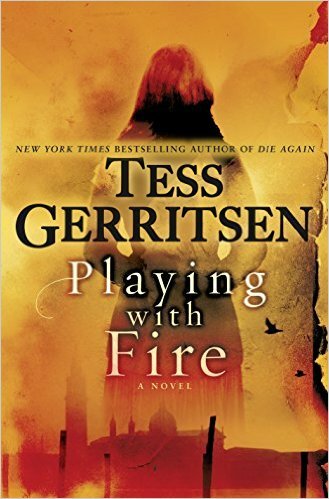 “Playing with Fire” eBook was published in 2015 and was written by Tess Gerritsen (http://www.tessgerritsen.com). Ms. Gerritsen has published more than 25 novels. I obtained a galley of this novel for review through https://www.netgalley.com. I would categorize this novel as ‘PG’ as there are instances of Violence. This WWII Mystery and Thriller novel is set in both contemporary times and in the years of World War II. In the present, violinist, mother and wife Julia Ansdell comes upon an old, mysterious piece of music in a Rome antique shop. She is intrigued and buys it, bringing it back to her home in the US. The piece is challenging but it intrigues her. When she tries to play it she is immersed in the intricacy of the music. But then on two occasions when she tries to lay it an accident occurs. She begins to suspect that the music has somehow changed her young daughter. Ansdell becomes fearful of being committed by her husband, just as her mother had been many years before. She feels the only thing she can do is track down the source of the music to lift the spell the music has seemed to cast over her daughter. In 1938 the story begins of Lorenzo Todesco when he is 18. Todesco is an Italian Jew living in Venice. He is also a skilled violinist. He is recruited by the father of 17 year old Laura Balboni to form a duet and compete in a music competition. As they practice, the two fall in love. As the day of their performance approaches, the political climate for Jews in Italy is beginning to sour under the pressure of the Nazi influence. Tedesco and his family, among many others are being persecuted by the Gestapo. Balboni and her father feel the Jews are being treated wrongly and try to help them. Ansdell travels to Venice in a last ditch effort to save her sanity and her marriage. This is not an action novel. The story also contains a lot of information that would interest musicians. It bounces (very successfully) between the present and World War II. Slowly you discover how the strange music came to be, and why strange things are happening to Ansdell. I did enjoy the 4+ hours I spent with the novel. I give this novel a 4.3 (rounded down to a 4) out of 5. 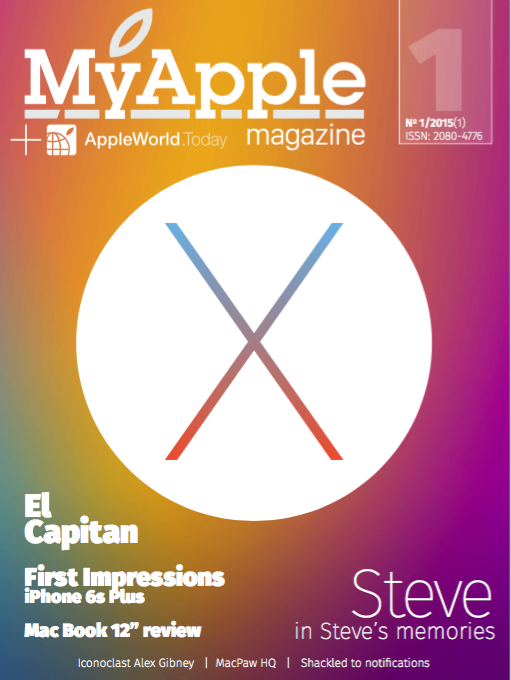 MyApple is a new digital magazine dedicated to the world of Apple. It is the result of a collaboration between the staff of Apple World Today and the Polish Apple website MyApple.pl. The first issue was made available in October, and the second is also now available. The magazine (as a PDF file) is available for free download from MyAppleMagazine.com. You can download the issues from that site and/or sign up to be notified by email when future issues are available. Support for the magazine through Patreon is requested, but not required. The magazine contains several short articles on all aspects of the world of Apple – services, history of the company, review of new software and hardware. Similar content is available from numerous blogs, but this is nicely packaged and allows easy off-line reading. I have downloaded the first two issues and loaded them into iBooks for reading. I have only read the first 25 pages of issue 1, but so far I am impressed with the quality of the production. These are fairly lengthy magazines (80 and 75 pages respectively) with no advertising. If you are interested in the world of Apple, this is a great opportunity to supplement your information reach. 12/30/15 Update – Issue 3 is now available for download. 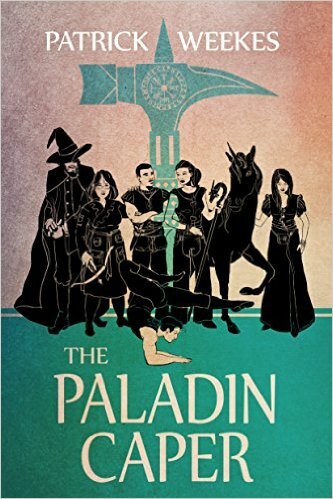 “The Paladin Caper” eBook was published in 2015 and was written by Patrick Weekes (https://en.wikipedia.org/wiki/Patrick_Weekes). Mr. Weekes has published four novels and this is the third of his “Rogues of the Republic” series. I obtained a galley of this novel for review through https://www.netgalley.com. I would categorize this novel as ‘PG’ as there are some instances of mild Violence. This Fantasy novel is set in a fictional world where magic is part of every day life. The primary character is Isafesira de Lochenville, but is known as simply “Loch”. She comes from a good family and should be a Baroness, but she gave that all up and joined the military. She was a Captain in the Scouts, but was trapped behind enemy lines. When she finally made her way back to the Republic, she had been branded a deserter and traitor. She took to a life of crime. In the first two volumes of the series she has twice saved the Republic with the assistance of her band of thieves and accomplices. Now she is trying to head off the return of the Ancients. They are manipulating Lock and public opinion to position their take over of the Republic. The Ancients plan a great celebration that will bring together the leaders from both the Republic and the Empire. Arm bands are being used by the Ancients to control humans. Lock and her band must make a desperate attempt to stop the Ancients before humans are once again enslaved by them. Along the way they find themselves confronted with a variety of foes – human, Elf, Fey and demons. Using their fighting, magical and con artist skills they try to slip through to confront the Ancients and save the world. Overall I enjoyed the 11+ hours I spent with this novel. While this could be read standalone, I would recommend reading the previous two novels first if possible. I liked this volume of the series as well as the second. I give this novel a 4.3 (rounded down to a 4) out of 5. Have you ever been using your computer and wondered if you were really getting the bandwidth you were paying for? Well, you can easily find out your up and down speeds with this useful HTML5 web tool. SpeedOf.Me is a web site that can be used to determine those up and down data speeds, and it is done without installing any apps on your system, nor does it require Flash or Java. The SpeedOf.Me site was created four years ago in December of 2011. In less than a minute this web page running locally in your browser will run a seven pass download test followed by a three pass upload test. This will give you a quick snapshot of the performance of your broadband connection. Test file sizes for download passes increase with each pass until it takes longer than eight seconds to download the file. Test file sizes range from 128KB to 128MB, doubling the file size between passes. The test files are all contiguous files, similar to what you, as a user, would be doing. Test servers from which the test files are downloaded and uploaded are spread around the world. While the test will work with any browser supporting HTML5, the SpeedOf.Me folks recommend Chrome, Firefox or Safari for the best results. I found this to be a great took and have added it to my bookmarks for future use. UPDATE – One of my colleagues from CapMac contacted me after reading my post. He had compared SpeedOf.Me to others web tools and found some variation in the results. I followed up with similar tests and also found different speeds being reported. 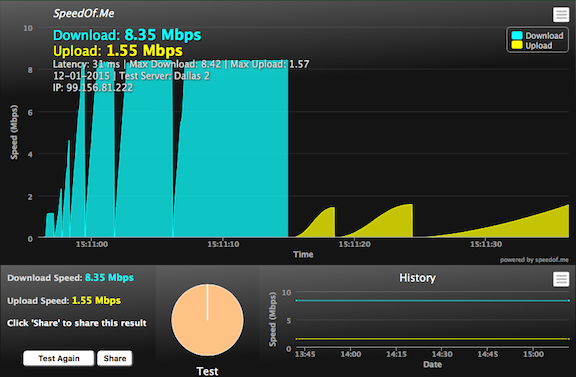 My first guess is that the methods of measuring the upload/download speed differs between these tools. That said, here is a table of the tools I tried and the results. These tests were run from the same Mac Mini over a 10 minute period.